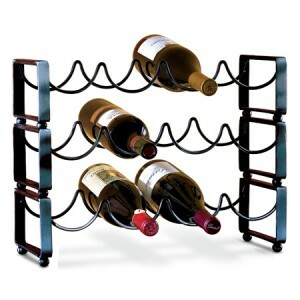 When it comes to wine storage racks, one size does not fit all. A recent and growing trend has been for winemakers to express themselves with larger or thicker-glass bottles, which won’t fit inside conventional racks. 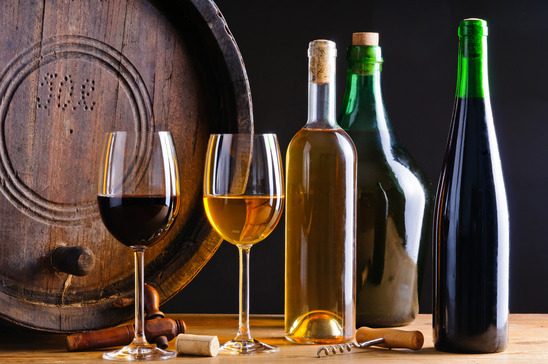 Beside the standard Bordeaux-sized bottles, your collection may have wide Burgundy and Champagne bottles, tall Riesling bottles, Magnum bottles and other bottles of various sizes. Finding a good way to display your unique collection can feel like you’re trying to fit a piano into your refrigerator. While all these different bottle sizes may seem impractical from a storage standpoint, a few wine rack styles are more adaptable for non-Bordeaux bottles. Read on for a few tips on how to select the right rack for your collection. The most common sizes of wine bottles are standard, wide, tall and magnum. Standard bottles are usually 3 inches in diameter, have high shoulders and fit in almost all wine racks and refrigerators. Wide bottles are typically 3 ½ inches and have sloped shoulders. Most tall bottles have long bodies and slender necks. Lastly, magnum bottles — which are usually 4 inches wide — are equal to two standard bottles and hold 1 ½ liters of wine. How many bottles of wine are you likely to have at one time? What different sizes of bottles does your collection contain? How much space do you have to store wine in your home? 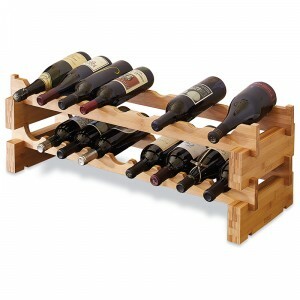 Cube style racks make for an easy solution to store wine bottles of all different sizes. If you live in a small space like an apartment or condo, a cube rack is also great for storing a larger collection of wine since you can fit more into a compact area. Since your can tailor these racks to the size of your collection, these also work well if you’re tight on space. Stackable racks will fit many sizes of bottles and you can add more racks as your collection grows. If you’re a wine lover who cares to impress and collects age-worthy wines, you may have several magnum bottles in your collection. These larger bottles have better maturation since they have less oxygen compared to the volume of wine in the bottle. Magnum racks usually hold big Champagne, Turley and magnum bottles. These racks are designed to hold large scale bottles that range from 3 916 inches to 4 inches wide. Display bottles with their labels in full view with a wall-mounted metal rack such as the Vintage View Magnum rack. 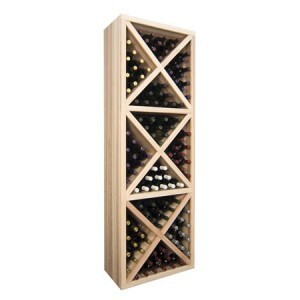 Wine bottles are stored sideways at the perfect angle to preserve your wines and protect the corks. These metal racks can be installed on drywall as well on most other surfaces. Looking for an affordable, easy-to-customize option? Try the Country Pine Scallop Rack or the Bamboo Scallop Rack. Both of these 18-bottle racks are easy to assemble, featuring interlocking crossbars and a modular design that can be stacked to fit your needs. As your collection grows, you can add another rack. If you have a specific vision on how you want to build out your wine storage, a customized wine rack may be the best option for you. 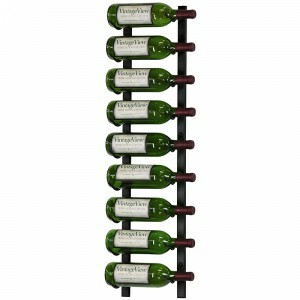 Custom wine racks give you more flexibility on the type of wine rack that fits your needs. Customizing your own storage unit may be a great solution if you have a large quantity of wine bottles of various shapes and sizes. Depending on the type of wine storage unit you have, you may be able to remove shelves to create more space. If you have wine bottles that are too wide in diameter, this could be a quick fix to make more room. Sometimes less is more! When purchasing your next wine storage unit, remember to consider the size of your collection, the size of your bottles and how much space you have available. Now that you know what to do with all your oddly shaped wine bottles, it’s time to find a home for them! How do you store the oddly shaped bottles in your collection? About the author: Berenise Tellez is a professional content writer who has appreciation for fine wines. If you’d like to reach her connect with her on Linkedin or send an email to berenisetellez@gmail.com.